In 1999 Nigeria became a democracy again after a long period of dictatorship. One of the top priorities for the newly elected President Obasanjo was to clear the huge foreign debt that the country had built up in previous decades. Most of this debt was with bilateral official creditors, united in the so-called Paris Club (1) . But debt relief to Nigeria was controversial. Although the country has a low income, it has large oil reserves with which it should be able to pay its debt. Furthermore, the country is notorious for its corruption and for irresponsible economic policies. Nevertheless, in 2005 Nigeria and the creditors Club reached an agreement on the US$ 30 billion debt with the Paris Club. The creditors cancelled US$ 18 billion, and Nigeria repaid US$ 12 billion. Most of the US$ 18 billion was registered as aid, justifying the question whether the cancellation contributed to development in Nigeria. A team of consultants linked to Ecorys and OPM carried out this evaluation for two of the creditors involved, namely the evaluation departments of the Dutch and Belgian Ministries of Foreign Affairs (2) . Much to everybody’s surprise, we concluded that the debt deal did contribute to Nigeria’s growth and poverty reduction. We followed a theory-based evaluation methodology. 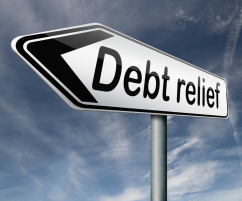 According to theory, debt relief may have an impact on economic growth through a reduction in debt service flows or a reduction in the debt stock. A reduction in debt service flows may make more money available for government investment in social services or in physical investment, which in turn may lead to improvements in the well-being of the population and to higher incomes. 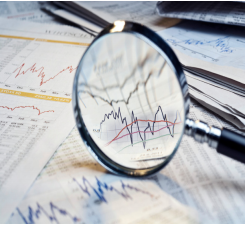 A reduction of an unsustainable debt stock may lead to a return of investor confidence in the economy, as possible foreign and domestic investors no longer need to fear that their profits will be taxed away in order to pay-off the government debt. 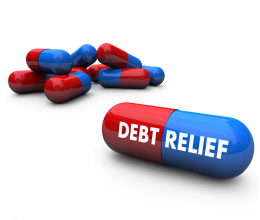 A third possible effect of effect debt relief is through the conditions that are usually attached to it. If these were good conditions and if they are implemented, this may also lead to higher economic growth and more poverty reduction. A first step in the evaluation is therefore to assess whether the 2005 debt relief agreement led to a reduction in debt service and debt stock. We needed to know to what extent Nigeria would have paid this debt if there would not have been an agreement on debt relief. Due to a rising oil price from 2003 onward, Nigeria was economically able to pay the full amount of debt service due of around US$ 3 billion. However, servicing this debt was politically difficult. Many people felt that the debt was illegitimate, having grown so much due to irresponsible dictators in the past. After interviewing many stakeholders, we concluded that most likely the country would have paid only US$ 1 billion a year: one-third of the amount due, but just enough to maintain some relation with the creditors. This means that in the absence of an agreement, the debt stock would have continued to increase with the amounts due and not paid, plus the interest on these non-paid amounts. While Nigeria’s actual foreign debt stock declined from US$ 34 to US$ 4 billion (only 2% of GDP), without the debt deal it would have risen to US$ 54 billion. With respect to the debt service flow the situation was different. Nigeria had to pay US$ 12 billion up front as part of the agreement. This was much more than the US$ 1 billion annually that it would have paid otherwise. Yet, because the country was able to pay the US$ 12 billion from accumulated reserves, the US$ 1 billion in forgone annual debt service was felt as “savings”. There were clear conditions attached to the debt relief agreement with Nigeria, and they were very effective, especially before the agreement but also to some extent after it. When President Obasanjo began to talk about debt cancellation, the creditors made it clear that changes in economic policies were necessary, first (in the early 2000s, The UK and the US made some specific promises: if Nigeria was to reform its economic policies and to reduce its level of corruption, they were willing to champion debt relief with the other Paris Club creditors). In his first term, not much happened in this respect. But when President Obasanjo was re-elected in 2003, he appointed a new economic management team headed by former World Bank director Ngozi Okonjo-Iweala. This team implemented many policy reforms. It no longer immediately spent the extra income from a higher than expected oil price, but began to save it on an excess crude account. It also improved debt management, implemented anti-corruption policies, cleaned the banking sector and improved poverty reduction policies. The Paris Club deal itself was accompanied by a two-year IMF programme. The policy conditions of this agreement were based on the government’s own programme. But we found that the bi-annual monitoring by the IMF helped to maintain strict fiscal and monetary targets and also to keep the earlier started reform programme on track. The debt deal was also accompanied by a government promise to use the US$ 1 billion in saved debt service for a “Virtual Poverty Fund” (VPF). This Fund came into being and it meant additional spending on essential social services, albeit somewhat lower than the US$ 1 billion. Ministries and state governments could apply for this money according to strict procedures and on the basis of matching. As a result, the VPF had a positive impact on the capacities for planning and implementing social projects beyond the VPF money itself. All in all, the debt relief agreement had several positive effects on the economy. First, the external debt became very sustainable and this, together with improved macro-economic policies, restored investor confidence. In 2006 Nigeria obtained its first ever credit rating from Fitch in 2006, later followed by the same BB-minus from Standard and Poor’s. Foreign direct investment increased. And while before 2005 most of this investment was directed to the oil sector, substantial amounts were now also invested in other sectors such as telecommunication and banking. The more prudent macro-economic policies made it possible for Nigeria to pay the US$ 12 billion up front and also reduced inflation. In addition, the accumulated savings helped to cushion the effects of the world wide recession in 2008-2009. It is difficult to investigate the effect of the debt relief on growth directly, but we know from theory that lower inflation, improved investor confidence and more foreign investment all have a positive influence. In the period 2003-2009, economic growth was high, around 7% on average. Another indication for an effect of the debt deal is that from 2004 onward, the growth in the non-oil sectors was higher than in the oil sector. Growth was also particularly high in the agricultural sector, probably implying that the poor also benefited. Economic growth, together with improved policies from 2003 onward, probably also had a positive effect on some social indicators. Between 2004 and 2009, primary school enrolment rates and the proportion of births attended by a skilled health worker increased, while infant mortality decreased. An important question was also whether the positive results are sustainable over the medium term. The answer is mixed. The IMF programme only covered the years 2005-2007 and already during this period the discipline to maintain macro-economic prudence and to continue implementing other reforms gradually waned. Telling was also that the leader of the economic management team was removed from her position in 2007 and went back to Washington – to return after the 2011 elections. While in 2008 and 2009 it was justified to use the accumulated savings for stimulating the economy in the context of the global recession, this was no longer the case in 2010 when the Nigerian economy recovered strongly. Yet, politicians continued to deplete the oil savings account. The institutions established for fighting corruption are still there, but appear to be less active than before. This is also reflected in a slight deterioration of Nigeria’s ranking in the Transparency Index, after years of gradual improvement. On the other hand, the Virtual Poverty Fund still exists and can be expected to continue fostering Nigeria’s achievement of the Millennium Development Goals. The development effects of the Nigerian debt relief were far more positive than in many other countries. One of the reasons was that the Nigerian debt was eliminated completely so that the country could really make a fresh start. But the effect of the conditions was also stronger than elsewhere, especially before the agreement. 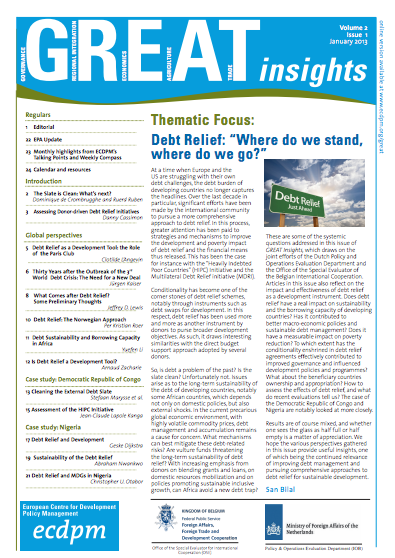 The country wanted the debt relief badly and was willing to undertake far-reaching reforms. Even if not all of these policy changes can be sustained, the debt deal already had positive effects on the welfare of the more than 150 million people in Nigeria. Geske Dijkstra is Professor of Governance and Global Development, Erasmus University Rotterdam; and since 2011 part-time evaluator with IOB, Evaluation Department of Ministry of Foreign Affairs in The Hague. 1. The Paris Club is an informal group of official bilateral creditors that negotiates collectively on debt restructuring with debtor countries. 2. IOB and SEO, “Mutual interests – mutual benefits: An evaluation of the 2005 debt relief agreement between the Paris Club and Nigeria”, main report, 2011. The authors were Geske Dijkstra (team leader), Christian Hiddink, Bola Akanji, Sanga Sangarabalan, and François-Xavier de Mévius.